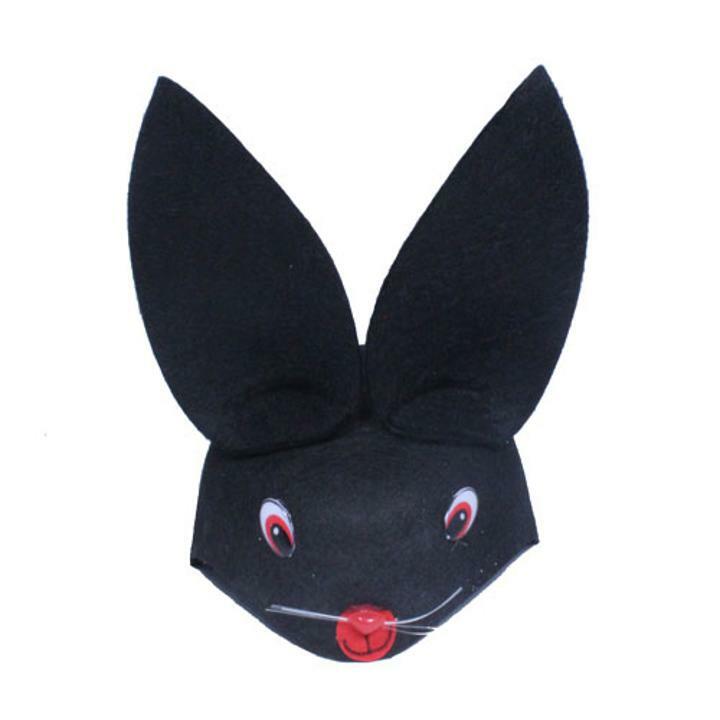 1 Black Rabbit felt hat. Each hat features an adorable rabbit face with whiskers and fold down pose-able ears. Use the hat to complete your bumble bee costume or as a fun stand alone. These animal and critter hats are an incredible deal, collect them all! One size fits most.